Peter joins Focused Growth Partners, Inc after a highly successful career as an operational leader and project leader. He masters the transformation, change and execution management dimension of projects like few in his industry. Stakeholder involvement and management is a critical skill that Peter brings to the table. Managing these project in Latin America, Europe and Russia has given Peter a world view of the benefits and risks of technology innovation. He teaches his successful cross-border leadership skills to other leaders enabling them to manage their staffs in the new global economies. Speaking five languages including English, Spanish, Portuguese, German and Dutch have assisted him in working in a multitude of countries and in being able to communicate directly with other senior managers and executives. He has been the leader of major IT dis-entanglement projects for Philips in the recent years. While no one wants these catastrophes to happen, they do and Peter has been involved in very large software adaptations and change management aspects. He knows how to design businesses processes, software architecture and change management that not only fix the problems but create profitable, efficient systems for the company. Mr. Pladet has a degree in Business Administration and Management from Fontys Hogescholen and holds certifications from SAP SD, APICS and PRINCE2. 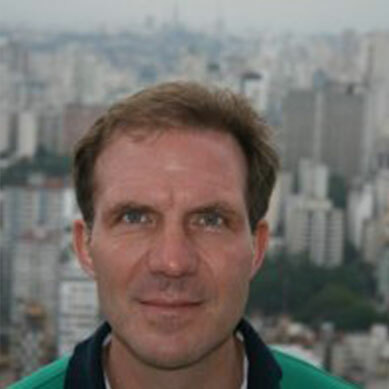 Over the past twenty years, Peter has managed SAP projects in many countries for Koninklijke Philips N.V. The Philips company manufactures in twenty-five countries, has more than 92,000 employees and annual revenue in excess of twenty-four billion dollars. Most recently, Peter has established outsourced/remote software development organizations in Chile for a US-based company. His deep knowledge of supply chain management and logistics planning and control processes, which is a critical success factor for any retail or BtoC business model, is an invaluable resource for many FGP clients.